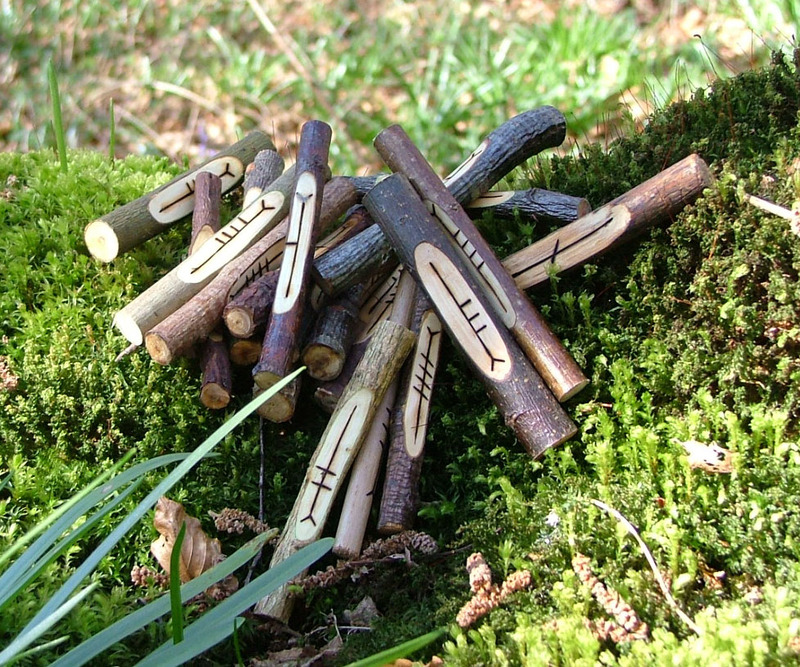 These wonderful ogham sets contain the full set of 25 ogham sticks, each one handcrafted from the traditional corresponding wood. Truly correct ogham sets are extremely rare, if not unheard of but we have gathered each and every type of wood to create these beautiful tools to divination. We work and play in the ancient Celtic heartlands of Britain where the Durotriges and Atrebates tribes ruled in prehistory. These ogham staves are handcrafted ritual tools with real Celtic soul, something with real spirit and as each set is individually made, no two are ever the same. Supplied with a certificate of authenticity, information sheet with full correspondences and woods list and a simple cotton bag for storage. The sets contain one each of the woods listed in bold below. Note: The alternative woods, listed in brackets below, are occasionally chosen by various traditions or paths which use differing woods from the generally accepted standards. They are available but only used if specifically requested. Other alternatives may be possible - please email for more info. At Spirit of Old, we understand that sometimes it can be important to have a divination set created specifically for you and we are happy to do this. We offer the choice of having a set of "off the shelf" ogham staves from stock which are usually posted out within a week from ordering, or you can opt to have a set crafted just for you which may take a few extra days. If you'd like to have your set made to order, please add a note in the message box you'll see during the payment process, or you can simply email us at enquiries@spiritofold.co.uk to let us know. Spirit of Old corresponding ogham staves - making the trees speak. If you have previously purchased a set of the 20 corresponding ogham staves and would like to add the extra five staves, known as the Forfeda, you can use this listing to do so. Includes a brief information sheet to introduce you to the meanings of the five staves with full correspondences and woods list. Please note: This listing is for just the five Forfeda staves and not the complete set of twenty-five. Genuine corresponding woods from sacred sites! Every wood piece is selected with intuition and sustainably gathered with the utmost care and respect to both site and tree. These wonderful ogham sets contain the original 20 ogham sticks, each one handcrafted from the traditional corresponding wood. Truly correct ogham sets are extremely rare, if not unheard of but we have gathered each and every type of wood to create these beautiful tools to divination. Supplied with a certificate of authenticity, information sheet and a simple cotton bag for storage. Note: The alternative woods, listed in brackets below, are occasionally chosen by various traditions or paths which use differing woods from the generally accepted standards. They are available but only used if specifically requested. I have been craving this ogham set since the moment I first saw it. I received it today and it is every bit as wonderful as the photograph and description indicates. The staves exude such a feeling of ancient magick! Absolutely worth the price, without question. The set comes enclosed in a white cotton bag with printed instructions. I am blissfully delighted with this purchase and look forward to more transactions with Spirit Of Old in the future. 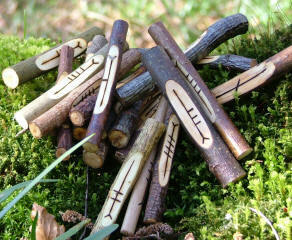 I have wanted a set of your ogham staves ever since I first saw them! And I am really drawn to some of your rune sets as well. I thought it would be complicated to order from UK but it turned out to be so easy! I will cherish these staves. They just exude the spirit of place. I can feel the sacredness of ancient tradition when I hold them. I've never had anything like this before. These were perfect! They are gorgeous and made a wonderful gift. I am so happy I sprang for these instead of choosing a cheaper set, the textures of the different woods and the large size make them pleasant to hold. Shipping was faster than I expected given the distance. I would happily purchase again. Thank you so much! 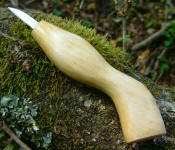 Are you searching for the ultimate set of ogham staves? This wonderful, handcrafted set of 20 ogham staves will feature oddities of Mother Nature including rare natural twists, knobbles, double and sometimes triple tips, graining and lichen. All pieces are carefully searched out to show the full character of every type of wood and they are slightly different, in shape or texture, from the standard corresponding staves which are generally more uniform. If you're searching for the ultimate set of staves showing even more of the character of the twenty different woods, these are the ones for you! We work and play in the ancient Celtic heartlands of Britain where the Durotriges and Atrebates tribes ruled in prehistory. These ogham staves are handcrafted ritual tools with real Celtic soul and something with real spirit. The Ogham alphabet consists of twenty letters to which a further five were added at a late stage in its development, probably later than the 8th century. The original twenty letters each consist of from one to five straight lines or notches intersecting a stem line. There is clear evidence for the magickal and divinatory use of the Ogham alphabet from the literature of medieval Ireland. Historically the symbols were used for divination by the use of four Yew wands, although more recently, the ogham alphabet has been used for divination by inscribing it onto small wooden staves or onto discs of wood. One symbol is added to each piece and they are used in a similar way to the runes. They are often stored in a bag and a person will randomly pick out a certain number of the ogham sticks or discs whilst focussing on an issue or question. Ogham symbols can also be used to magickally empower an object or spell, for example they can be added to talismans to draw particular energies to the carrier or engraved onto candles prior to spellworking. More information on the meanings of the ogham symbols can be found here. 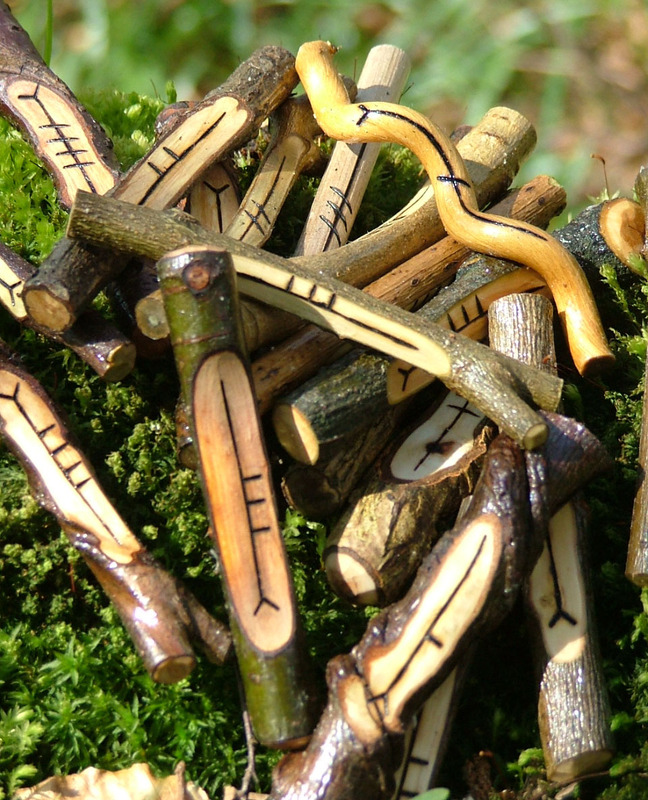 We're also happy to provide custom-made ogham sets in your choice of available wood.